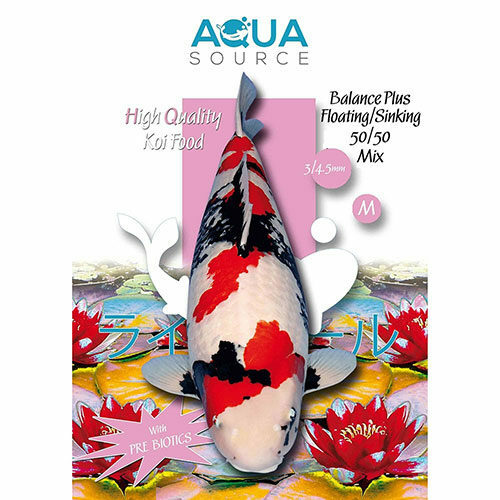 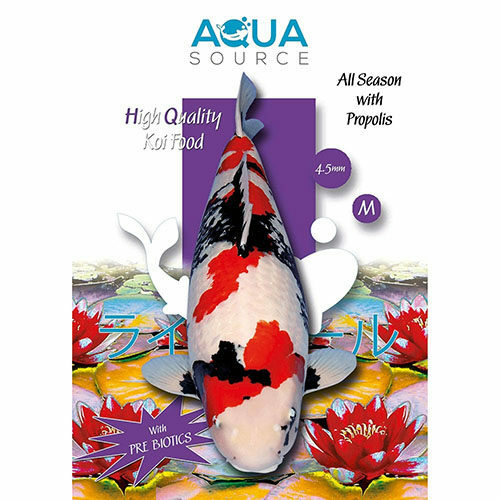 Aqua Source Koi Buffet combines all the high quality treats that your fish love! 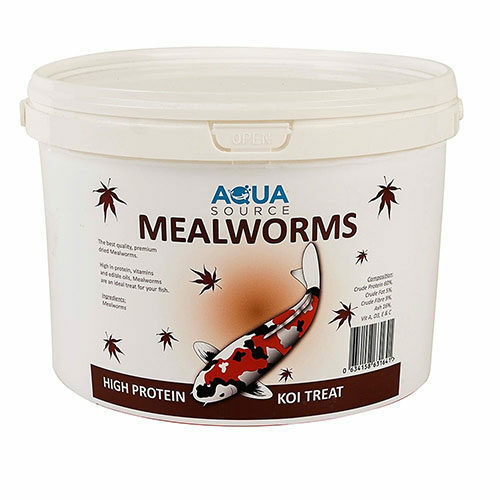 Gammarus Shrimps, River Shrimps, Mealworm and Silkworm Pupae. 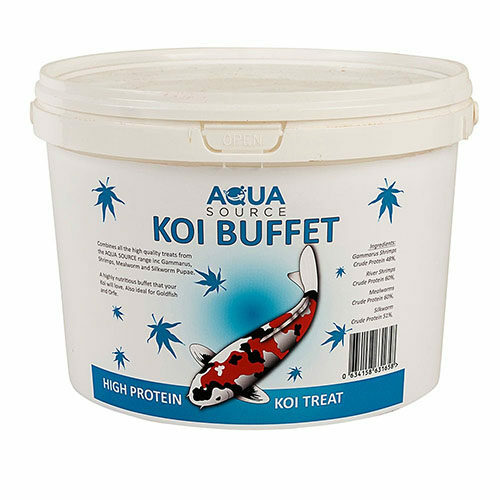 A highly nutritious buffet that your koi will love. Aqua Source Koi Buffet is also ideal for goldfish and orfe. 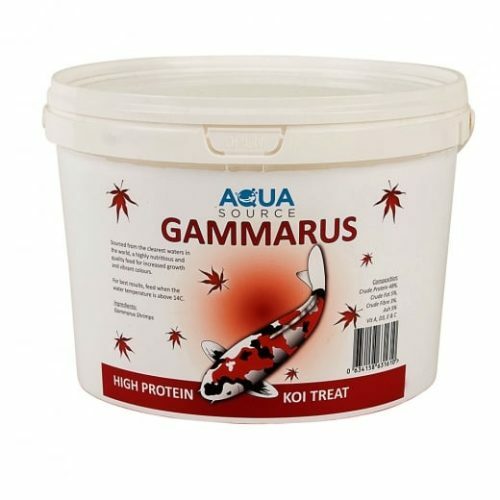 This mix prevents frenzy that can occur when feeding koi, thus preventing any potential physical damage to your koi. The more shy koi can still feed at the bottom of the pond which is a more natural way to feed. With this mix you can be assured that all of your koi are getting the nutrition they require for healthy groeth and vitality.